One of the most important pieces of equipment at a traditional emergency room is the CT scan. A CT scan facility is a crucial asset that allows doctors to essentially take a “cross-section” x-ray and see clearly inside the body without having to actually cut inside the patient. At Urgent 9, we’re proud to have an in-house imagine center with our very own CT scan in Glendale. In fact, we have the Gold Seal for CT Accredited Facilities. Because of the CT scan’s versatility, you might find yourself needing a CT scan for a wide range of maladies, injuries, or diseases. Most of the CT scans in Los Angeles can be found inside the ERs around the city, as it’s actually quite rare for an Urgent Care center to have their own CT scan. This is great news for just about anybody needing a CT scan, as emergency rooms are overcrowded, often inconvenient, and can come with unexpected bills and expenses. At Urgent 9, we are able to see about 85% of the people who would typically go to an emergency room for what is ailing them. A big part of what makes us effective is our CT scan, allowing us to make a high quality and accurate diagnosis for a fraction of what it would cost in the hospital. One of the most common questions we get is “how much does a CT scan cost?” Most people have a misconception that CT scans cost thousands of dollars and are out of reach, particularly if they have a high deductible or no insurance at all. In fact, at Urgent 9, noncontrast CT scans cost $299 and contrast CT scans are $399. This extremely reasonable pricing was designed with our community in mind, so that folks around Glendale or Los Angeles don’t need to break the bank to have a vital scan done. 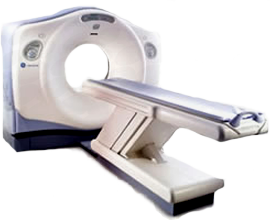 If you need a CT scan, Urgent 9 will work with you to find the best and most affordable solution possible. Whether you want to take advantage of our week-long “Everything Plan” or just get the CT scan alone, Urgent 9 is here to provide you with quality care at a reasonable price.